We are the choice for clientele seeking to build lifestyle spaces. Indoor or out, home or office, every space deserves to have a personality that draws you in and invites you to stay. 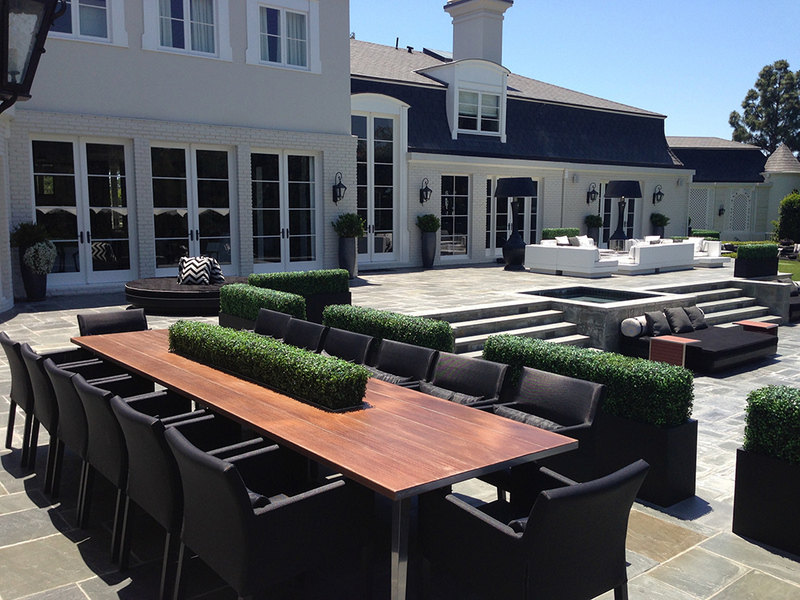 Outdoor rooms have become an extension of living space and allow you to enjoy the outdoors up close and personal. Why not have a place to entertain or relax year round, day or night with outdoor kitchens, dining and conversational seating. 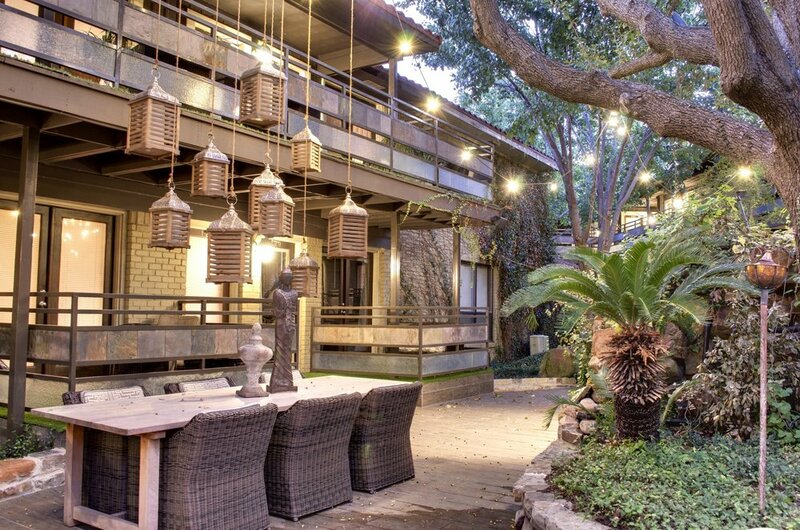 Courtyards can be large or small, simple or complex, neutral or colorful. They can be designed with an intimate feeling for smaller groups or large seating areas for entertaining on a grander scale. Whatever your needs, any courtyard can be designed to fit your needs. Color and style are the foundation in any design. 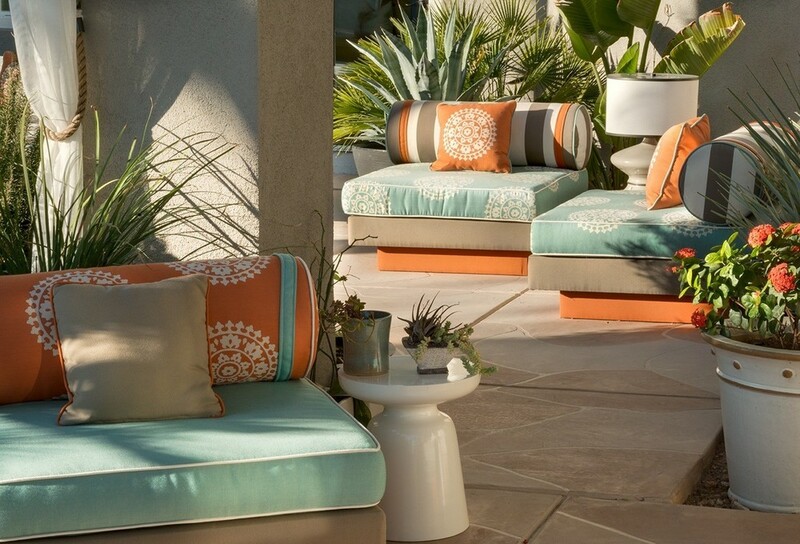 Outdoor fabrics have become as diversified as interior fabrics; durable, colorful and soft. These custom designed chairs show off the versatility and elegance of outdoor fabrics, not to mention they look great and are super comfortable. 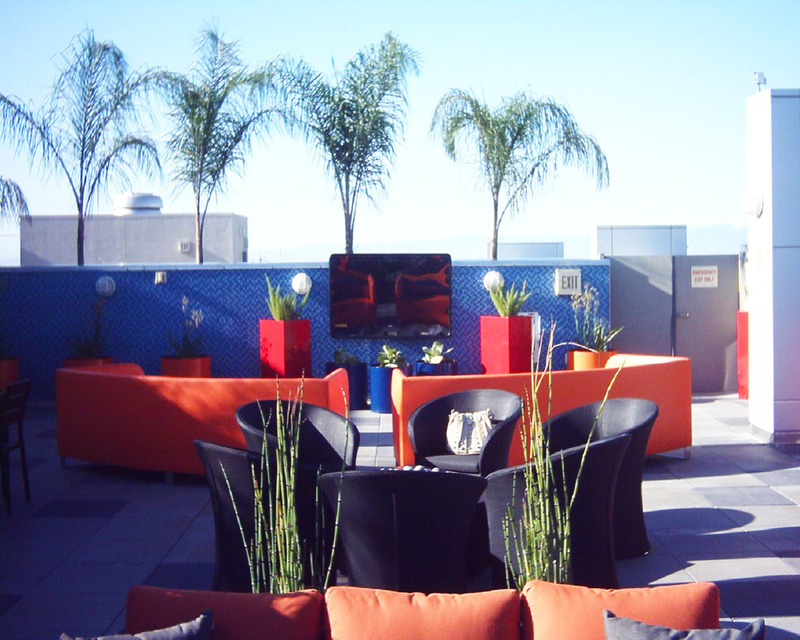 A rooftop can be a difficult space to design. The sun and heat can be unbearable and you do not want to damage the roofing materials. Attention to portable shading options and area rugs can make it cool and inviting and comfortable furniture create a retreat you never want to leave. Size isn't everything! A narrow space that is usually ignored and often times difficult to design around can be changed into a useful and inviting retreat. Why not extend your yard even more and have another space to entertain or just get away. Leading design firm bespoke for creativity, ingenuity and attention to detail in its approach to new construction or renovation. Attention to your needs for every day living plus the necessary elements to enjoy entertaining family and friends, can easily be done in style. Whether office, lobby or conference room, they are reflections of the company and the persona of the business. Simple, inviting and comfortable make any work place a place you want to work! Los Angeles is a mecca of versatility, creativity, art, sophistication and elegance. With so much activity around, how can you not be inspired.